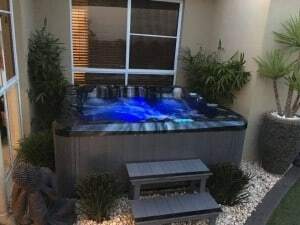 Another great review on our Facebook page from another very happy Aqua Pulse Spas customer in Toowoomba, Qld. At Aqua Pulse Spas, our customers are our priority, and the quality of our spas and service is second to none. Call us today for delivery charges in your area with one of our quality contractors at extremely competitive rates. Michael, Sharyn and the Aqua Pulse Spas team would be happy to discuss the best spa for your lifestyle (07) 3208 4625. Or shop online 24/7 from the comfort of your own home. 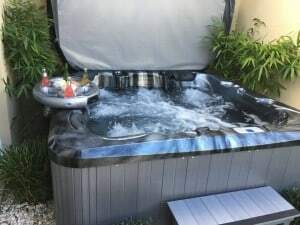 The photos below show Grant and Darlene’s spa after installation, ready for year round enjoyment!